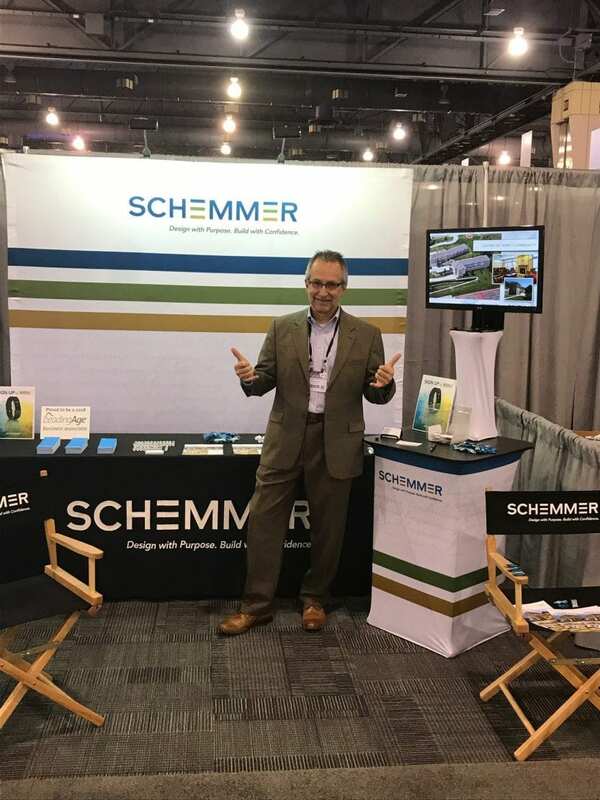 Bill Wedeking, AIA, LEED AP, exhibited and attended the LeadingAge Annual Meeting & EXPO 2018 on October 28-31, 2018 in Philadelphia, Pennsylvania. The LeadingAge Annual Meeting & EXPO is the nation’s largest annual event for the not-for-profit aging services field. At the conference Bill met with potential clients, visited with existing Senior Living project sponsors and attended educational sessions. To check out Schemmer's Senior Living projects, click here.